The 23 Condominium is comprised of 83 luxurious units and includes amenities such as a common courtyard overlooked by glass elevators, courtyard terraces, a community garden, on-site storage, and secured valet parking within the building. The 170,000 square foot building includes one to four bedroom units ranging from 850 to 4,300 square feet. The condominium units have wood floors, custom kitchens and bathrooms, and balconies that overlook a lush courtyard, created by removing the core of the existing building. The facade is luminescent glass panels and Italian limestone. With an indoor parking garage and pet-friendly setting, 23 Condominium is ideally located within walking distance of Philadelphia’s Rittenhouse Square, the future Aramark Corporate Headquarters, Vanguard’s future Center City location, and University City. The building has access to the Schuylkill River Trail and is also located within 2 blocks of 30th Street train station, making day trips to New York City easily accessible. 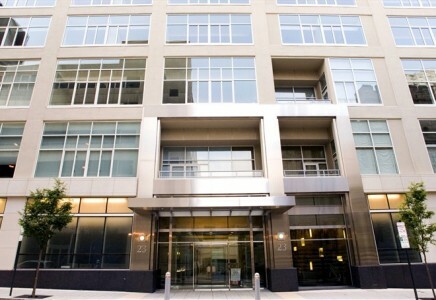 Let the James ‘Right’ Price Team’s real estate acumen find your new Philadelphia luxury condominium at 23 today!